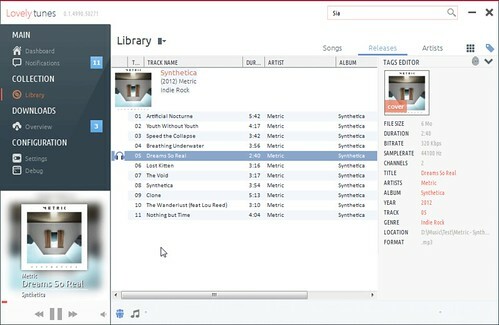 LovelyTunes is a powerful software, similar to headphones, but as a Windows desktop application. A slick and beautifull interface. Easy to use and configure. 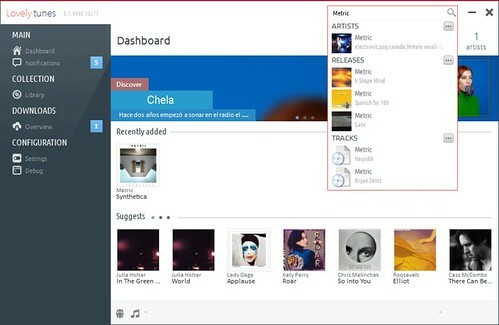 Get your whole music library imported with automatic corrections and covers. Mashup APIs. 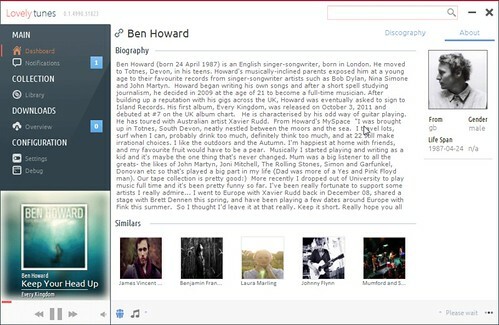 For searching and discovering artists, albums or songs. Batch or single Tags editor. Automatic downloads by uTorrent, Transmission or SabNZBD. Notifications on your desktop or phone. Currently, LovelyTunes is in Closed Beta. So if you would like access feel free to drop me an email, or a pm.